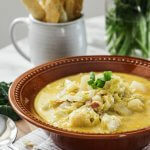 When I had the pleasure of traveling to Ireland a while back, I returned with lifelong friendships — and a soul-warming recipe for Colcannon Soup. 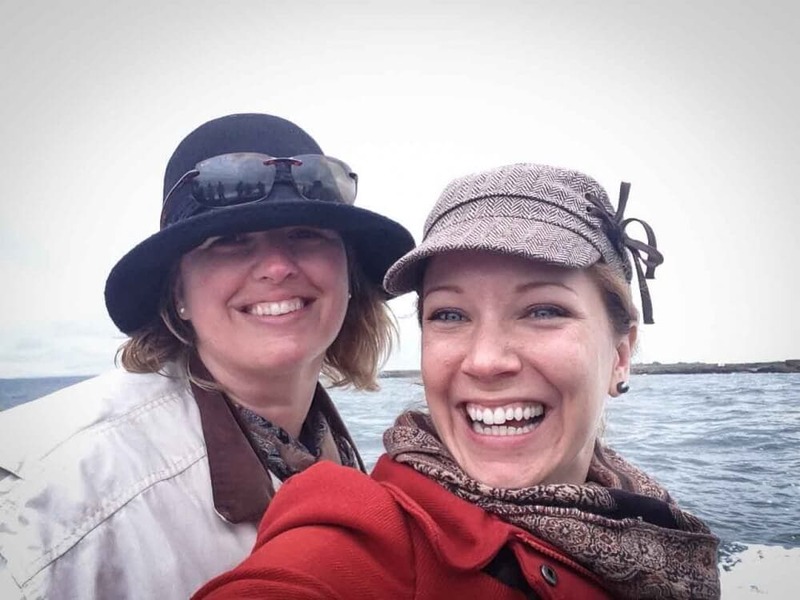 Travel can be a trial by fire for any relationship, so it’s worth noting that Rachelle and I first became friends on a trip. 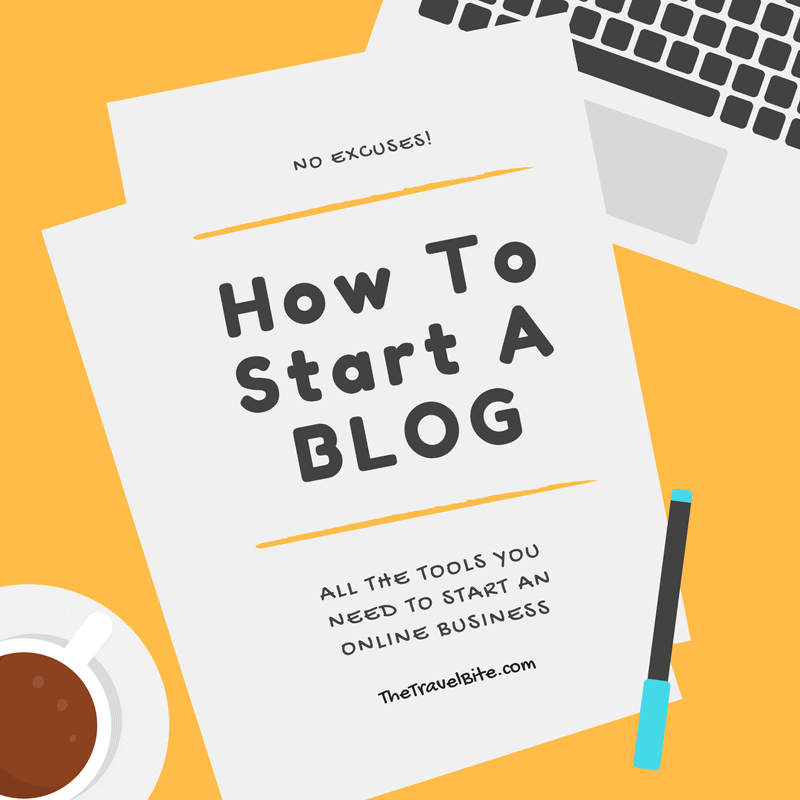 We were part of a small group of food bloggers chosen by Raglan Road Irish Pub and Restaurant to spend time in Ireland as part of the Orlando-based restaurant’s tenth anniversary celebration. Officially, the five of us were there to chronicle the adventures of the Raglan Road Trip winners, five talented cooks who won a free trip to the Emerald Isle by creating fantastic, Irish-inspired recipes. 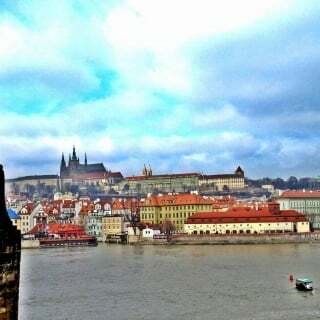 By the end of the journey, however, we all knew that we were lucky to have participated in such a special event. Ever since we returned from that trip, Rachelle and I have wanted to get back into the kitchen. As a result, we settled on a date and set about formulating our plan. When the day came, we took inspiration from that incredible few days we spent in Ireland. As a result, we’re sharing with you one of the dishes we had while we were there: Colcannon Soup. 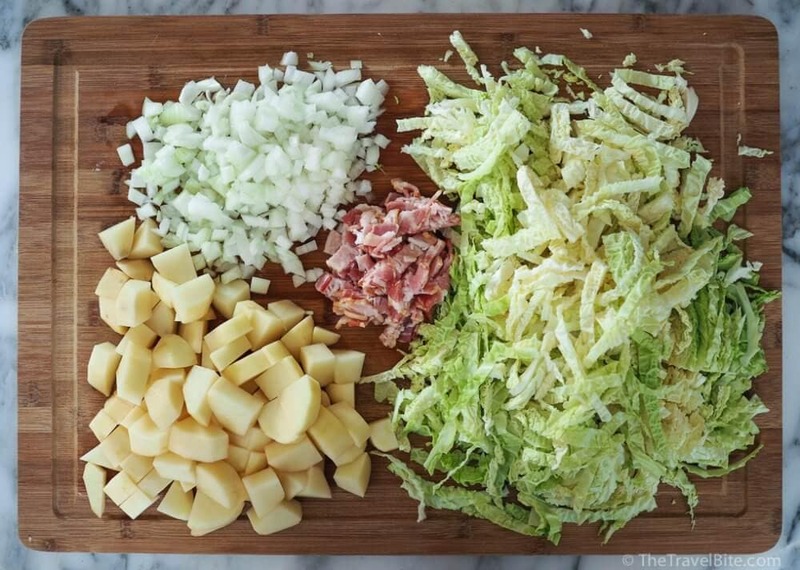 Our recipe is inspired by Master Chef Kevin Dundon’s homage to the classic Irish dish, colcannon. Normally, it’s a side dish featuring mashed potatoes and cabbage, with lots of butter and cream for good measure. As a result of turning the comforting ingredients into a main dish, you allow classic flavors to take center stage. To make the task of creating the soup easier, we began by chopping and dicing all of the ingredients. I took special care to separate the leaves of the leeks. 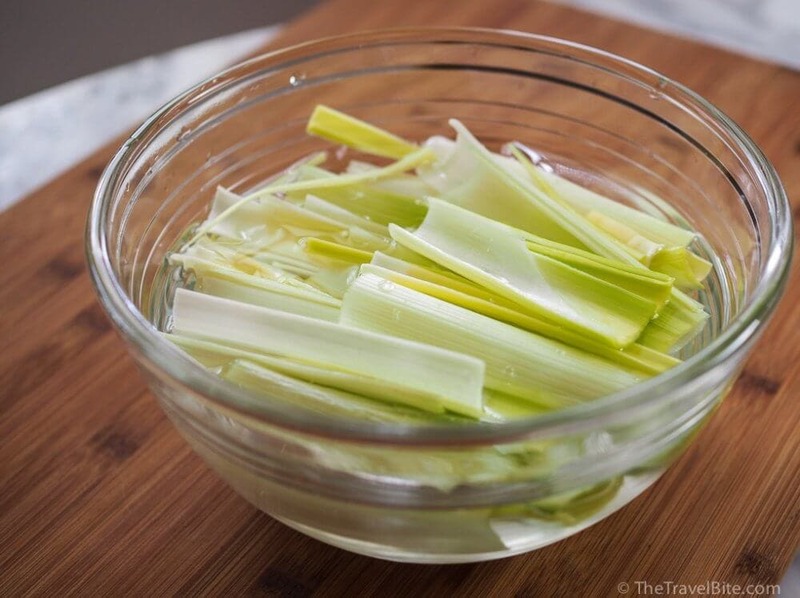 Because leeks can harbor so much grime between the layers, I like to give them a good plunge in water to make sure no hidden dirt escapes unnoticed. 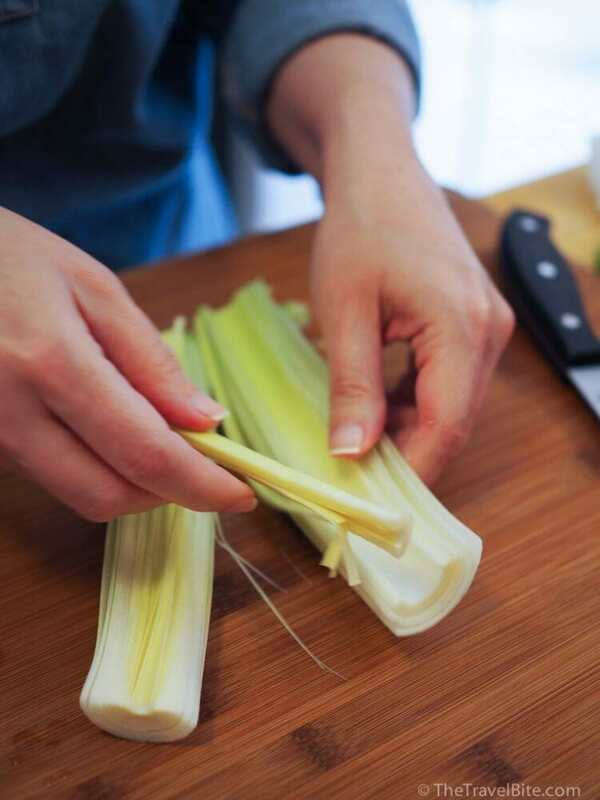 As a result, you’ll have squeaky clean leeks! And no dirt in your soup. That’s always a good thing, yes? After a thorough rinse, they were ready to join the rest of the crew. 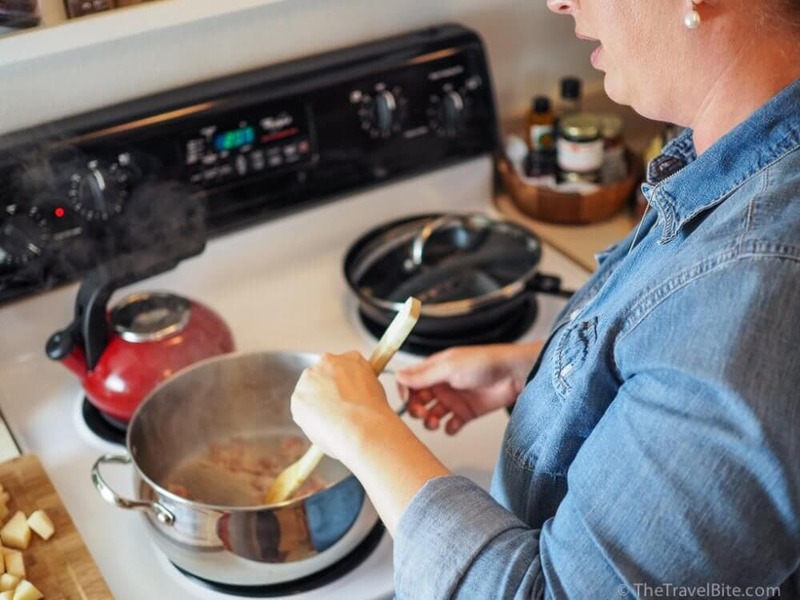 With our ingredients prepped, it was time to get started making the house smell wonderful! First, we began by sautéing the bacon over medium-high heat. The idea is to render the fat out of it, but not to cook it until it’s crisp. 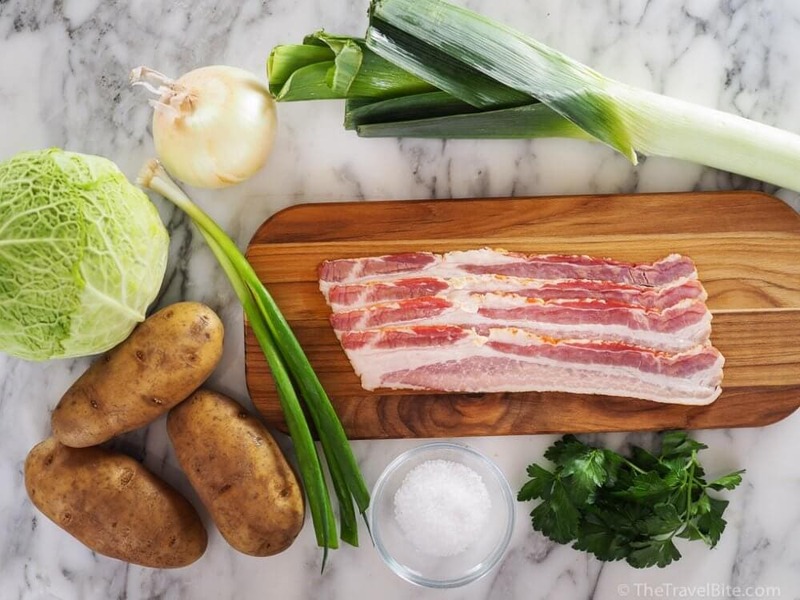 Once the bacon cooks a bit, it’s time to add the onion, potatoes, leek, and cabbage. If your bacon hasn’t produced enough fat for all of those veggies, it’s okay to add a little butter or olive oil to the pan as well. 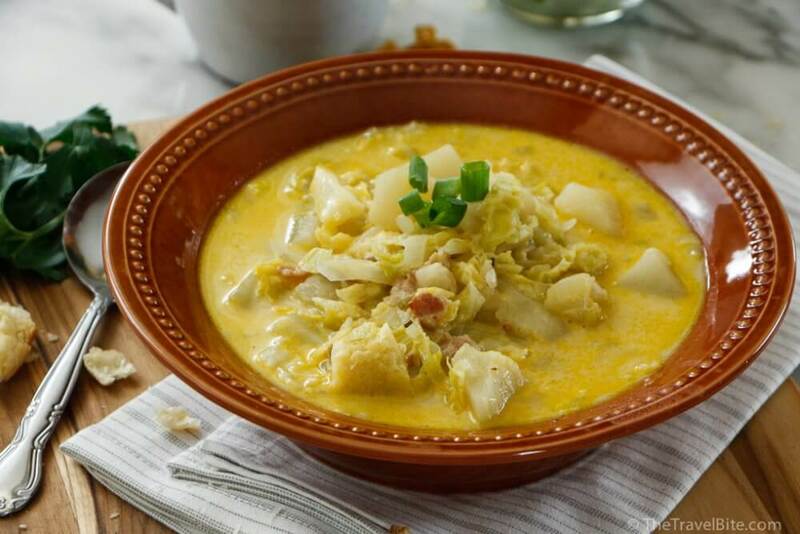 Be sure to break up the cabbage so that it cooks evenly and becomes nice and tender in the soup. Cover your pan, reduce the heat to medium low, and allow the vegetables to cook and soften for about ten minutes. At this point, you’ll add the vegetable stock or water. Chicken stock will work just fine here as well. However, I’d stay away from beef stock, since it may overwhelm the delicate flavors and compete with the bacon for top billing. Bring the soup to a boil, and then lower the heat. Allow the soup to simmer for five to ten more minutes. Reduce your heat to low, and add the half and half. Feel free to use heavy cream in place of the half and half if you prefer. Simmer for an additional two minutes. 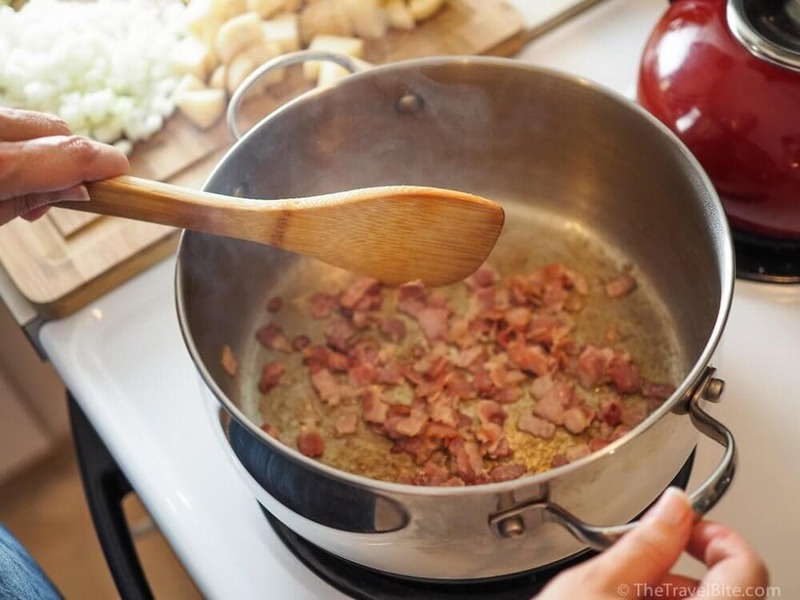 Once your soup has come together, remove it from the heat and whisk in the butter. Don’t return the soup to the heat at this point, or you risk it curdling. Ladle into bowls and garnish with fresh herbs or crisp bacon. Serve with crispy Irish cheddar sticks or Irish soda bread. A rich and satisfying soup that comes together in minutes. Perfect for a St. Paddy’s Day celebration, or a quick weeknight meal. Heat a large pan and saute the bacon over a medium to high heat for a 2-5 minutes, rendering the fat, but stopping short of crisping it. 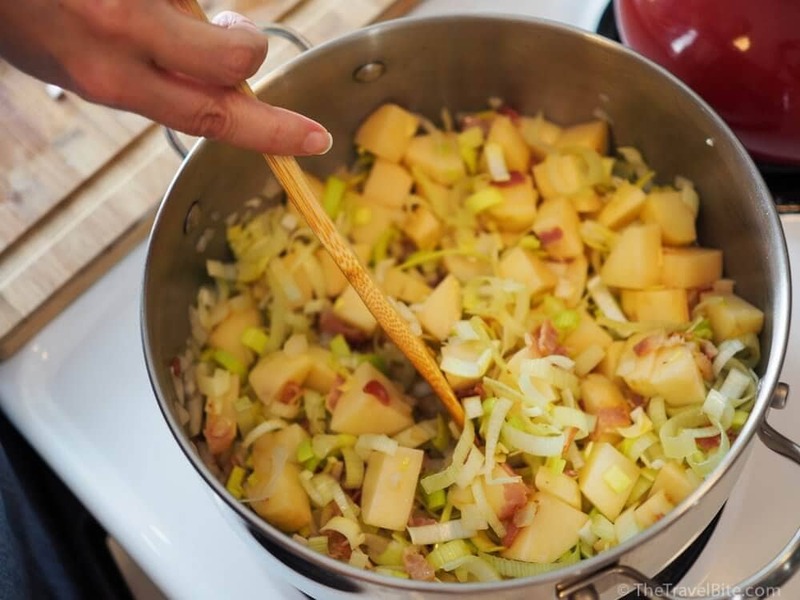 Reduce to low heat and add the onion, potatoes, leek, and cabbage. Cover with a lid and cook for 10 minutes until well softened but not coloured, stirring occasionally. 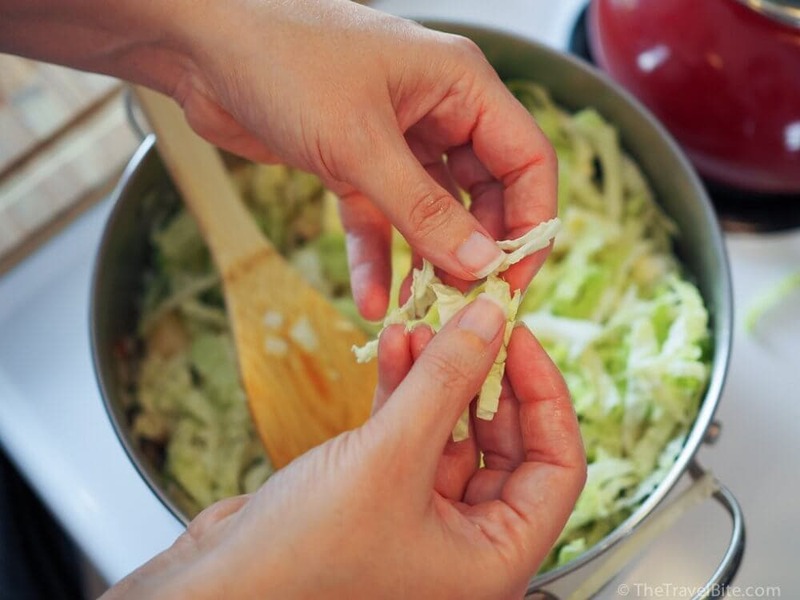 Pour the warm vegetable stock or water into the cabbage mixture and bring to the boil, then reduce the heat back to medium-low. Allow the soup to simmer for 5-10 minutes and season to taste. Stir in the cream and simmer for a few minutes until the soup has a creamy texture. Remove the soup from the heat and whisk in the butter. It is important not to re-boil the soup once the butter has been added, or it will curdle. Ladle the colcannon soup into serving bowls. Cooking the ingredients so thoroughly in the soup allows them to soften nicely, and yet still retain their integrity. As a result, you can puree this soup if you prefer. In one trial run, we used an immersion blender to make a silky soup. 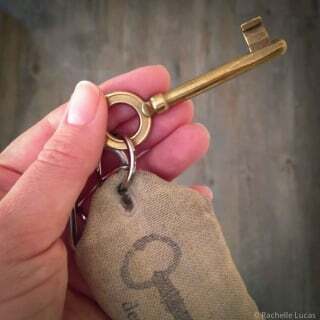 It’s really a matter of taste and preference. The rustic version we served here is so pretty and there’s something truly satisfying about the texture of the cabbage against the soft potatoes. 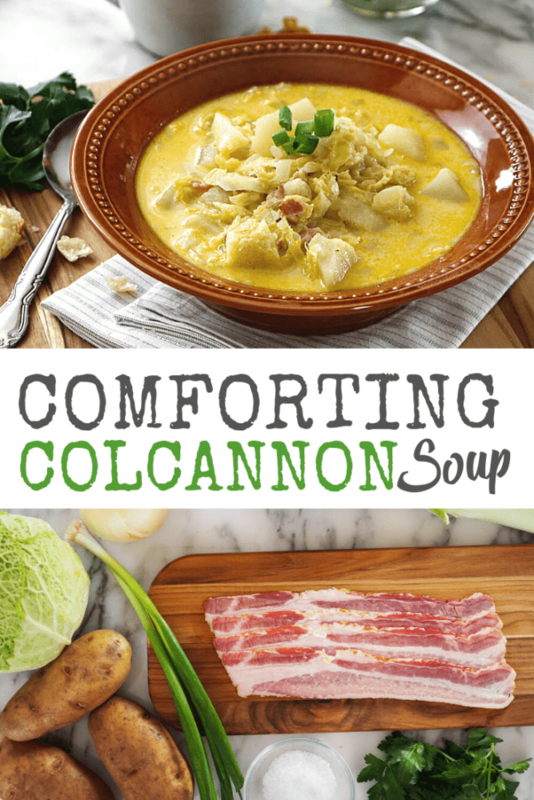 I think you’ll agree: Colcannon Soup is a winner. Yummm. Sounds so good, and looks even better with that crusty bread! Beautiful recipe and collaboration! A trip to Ireland is on my ‘Someday list’ and I can’t wait to #MakeSomedayHappen. Until then, your soup will keep my Irish dreams alive. Slainte!